The 18th season of WBS Penguins hockey is almost upon us. Throughout the years numerous men have stood behind bench for the Pens. These former coaches have gone on to do great things for the Pens in WBS, in Pittsburgh and throughout the NHL. 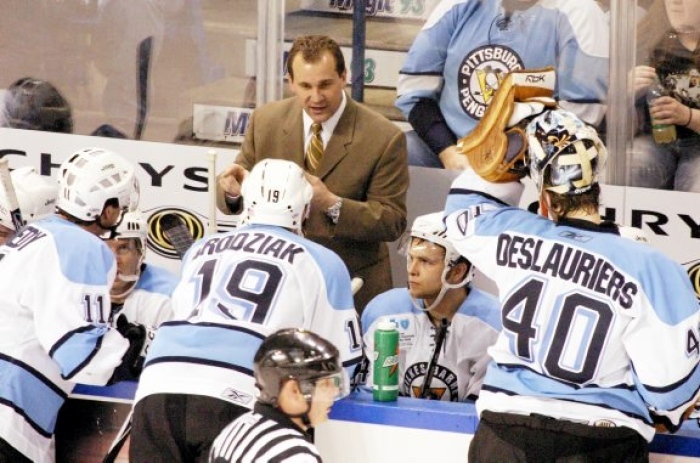 Let’s take a look at the best coaches the WBS Penguins have ever had. The real man without fear from Hell's Kitchen isn't Dare Devil. They say that great players often don’t make great coaches. This was not the case. This hall of famer coached the WBS Pens for 52 games and had a .767 winning percentage. Things were looking good for Mullen until he turned into a heel and went to the Flyers as an assistant coach. I'm certain he was born bald. Hynes spent five seasons in WBS. 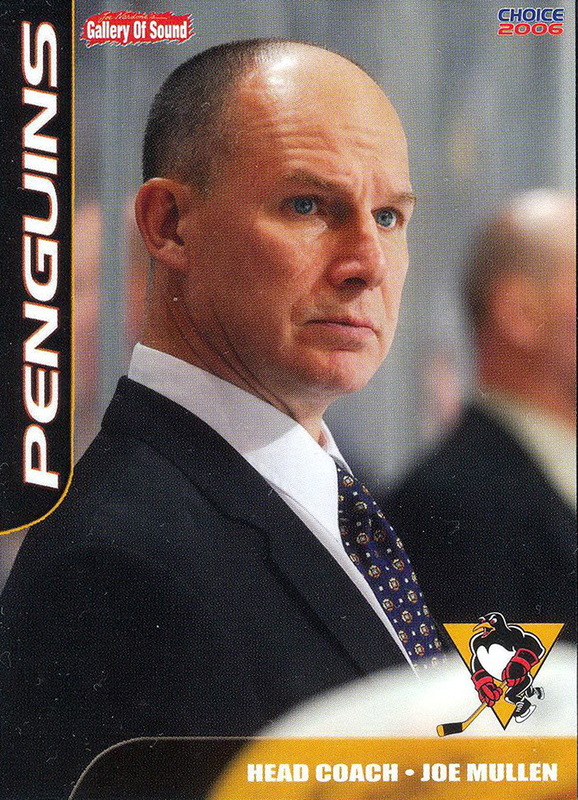 When Pittsburgh soured on Dan Bylsma , Hynes was presumed to be the next head coach in line. That was not to be. Ray Shero was fired as GM and moved on to New Jersey. Shero took Hynes along to be the head coach of the Devils. Although the Devils have struggled under his leadership, he has shown tremendous talent working with young skilled players. There is a reason why Will Butcher has signed with the Devils, that reason is John Hynes. Atlthough Hynes didn’t have direct success with Pittsburgh, he helped in other ways. While in WBS Hynes molded the young talent that would go on to fuel the Penguins ’16 and ’17 Stanley Cups. From the random year where the WBS Penguins were the Oilers too. 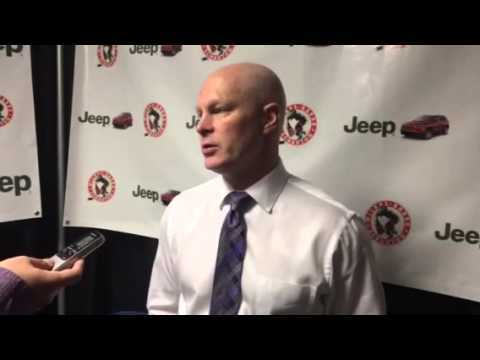 Richards had the best winning percentage of any WBS coach (.825) and lead the Pens to the Calder Cup Final most recently in 2008 (where they of course lost to the Chicago Wolves). Since leaving WBS Richards has gone on to coach the Wild, the Blue Jackets, and serve as an assistant with the Lightning. I'm certain Therrien is about to praise his players here. Even though you and Crosby may hate his guts you can’t argue with his success. Therrien is the only coach to ever reach the Final with both WBS and PIttsburgh. His Penguins teams lost to the Milwaukee Admirals in the Calder Cup Final in 2004, and Pittsburgh lost in the Final to the Detroit Red Wings in 2008. He has coached the Montreal Canadiens both before and after his stint with the Pens, in addition to having a .750 winning percentage with WBS. . Plus he has some of the best quotes in WBS history. What’s not to love about everyone’s favorite French chain smoker? These empty shelves are where he stores the accolades he's about to get. 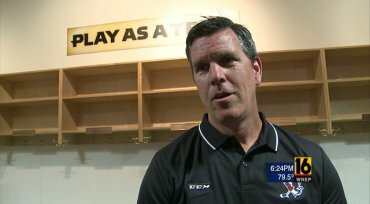 The best coach to have passed though WBS is without a doubt Mike Sullivan. He has coached the Pittsburgh Penguins to back to back Stanley Cups. He was no slouch when he was in WBS leading the team to an 18-5 record good enough for the 2nd highest winning percentage of any WBS coach. Sadly, we didn’t have him around long enough to win us a Calder Cup too. Hi, I'm Elizabeth. I have read your articles. I really enjoyed your post. It's really great. Thanks you for sharing such a great blog with us. Expecting for your good luck.